Even though Thursday is marking VMworld Europe 2018´s final day, there are still a lot of sessions going on. Shame on me for missing the first one on my list, I tried, it wasn’t possible. I checked out the “Enhancing the SDDC with Ansible” with Chris Mutchler which I found very interesting as Ansible is a thing I’ve been looking into for a while, but seeing the demo video in the presentation reassured me I was looking in the right direction. 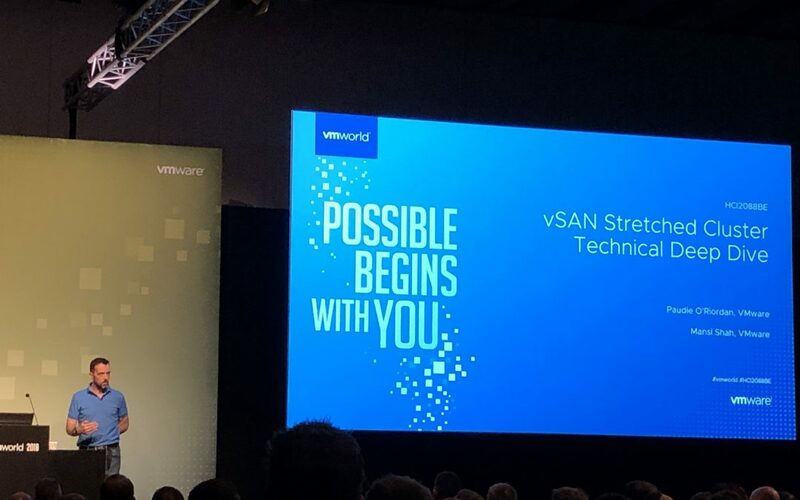 Last session on my schedule was “vSAN Stretched Clusters Technical Deep Drive” with Paudie ORiordan and Mansi Shah. Covering various failure scenarios, Ops considerations and Network setups within one hour made this one a real gem.